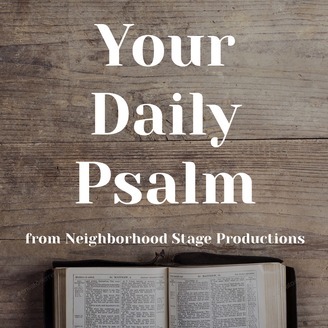 With "Your Daily Psalm" I'm Chris Laning from NeighborhoodStage.com. As always I'll be reading from the NET Bible at NETBible.org. You godly ones, shout for joy because of the Lord! It is appropriate for the morally upright to offer him praise. 2 Give thanks to the Lord with the harp! Sing to him to the accompaniment of a ten-stringed instrument! 3 Sing to him a new song! Play skillfully as you shout out your praises to him! 4 For the Lord’s decrees are just, and everything he does is fair. 5 He promotes equity and justice; the Lord’s faithfulness extends throughout the earth. 6 By the Lord’s decree the heavens were made; and by the breath of his mouth all the starry hosts. 7 He piles up the water of the sea; he puts the oceans in storehouses. 8 Let the whole earth fear the Lord! Let all who live in the world stand in awe of him! 9 For he spoke, and it came into existence, he issued the decree, and it stood firm. 10 The Lord frustrates the decisions of the nations; he nullifies the plans of the peoples. 11 The Lord’s decisions stand forever; his plans abide throughout the ages. 12 How blessed is the nation whose God is the Lord, the people whom he has chosen to be his special possession. 13 The Lord watches from heaven; he sees all people. 14 From the place where he lives he looks carefully at all the earth’s inhabitants. 15 He is the one who forms every human heart, and takes note of all their actions. 16 No king is delivered by his vast army; a warrior is not saved by his great might. 17 A horse disappoints those who trust in it for victory; despite its great strength, it cannot deliver. 19 by saving their lives from death and sustaining them during times of famine. 20 We wait for the Lord; he is our deliverer and shield. 21 For our hearts rejoice in him, for we trust in his holy name. 22 May we experience your faithfulness, O Lord, for we wait for you. And that's it for "Your Daily Psalm". 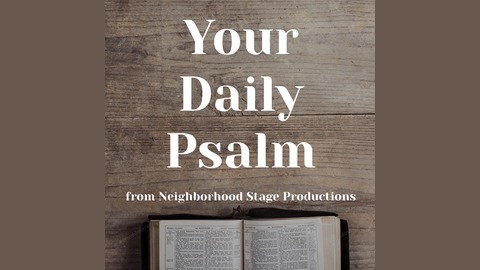 To hear previous psalms and to find out other ways to listen go to YourDailyPsalm.com. The Scriptures quoted are from the NET Bible® http://netbible.org. Copyright ©1996-2019. Used with permission from Biblical Studies Press, L.L.C. All rights reserved.